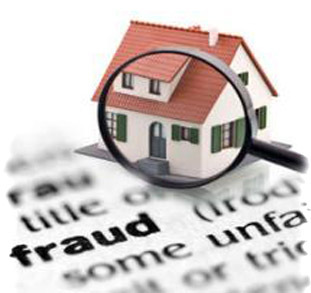 Three women from a family have allegedly emerged as scamsters in a real estate fraud in excess of Rs700 crore with nearly 1,500 investors duped. On June 7, 2011, the Economic Offences Wing (EoW) of Delhi Police arrested Madhu Singh, managing director of AJS Builders. Madhu, in collusion with her mother-in-law Kailash Rani and sister-in-law Geeta Singh, had floated a fake easy installment residential apartments scheme, the police said. At present, 338 investors have filed complaints against the company for cheating and criminal conspiracy. The company had allegedly collected more than R700 crore from 1,500 investors in three projects on the pretext of providing them flats in a time-bound manner. Geeta Singh, one of the directors in the company, was declared proclaimed on October 16, 2010 for evading arrest. Meanwhile, Kailash Rani has not been arrested as she is very old and is ailing in the hospital. Several advertisements were allegedly published in national newspapers for the proposed construction at Sector 62 in Gurgaon during 2006-07. “She lured us stating it's an affordable construction project in the memory of her late husband. She took advantage of her widowhood and convinced investors to shell out R10 lakh and more for the future construction,“ claimed retired brigadier APS Gujral, one of the investors from Gurgaon. The EoW on Monday produced Madhu before a metropolitan magistrate after completion of her five-day police custody. The police sought her further custodial interrogation, as many computers from her office were missing. “We believe there is lot of crucial data, in connection with this scam, stored in some of her office computers. Her custodial interrogation is required to affect their recovery,“ said the police in court. The counsel for the complainants said even three years after she had floated the residential scheme, not a single flat has been allotted. The court extended Madhu's custody for three days, as it was convinced by police arguments. AJS Builders was carrying out three different projects in Indirapuram, Gurgaon and Gannaur in Sonepat, where it had promised investors of developing residential colonies.